As a homeowner, you likely run into many different issues regularly. While some are easy to spot, like a burned out light bulb or clogged drain, others may not be as noticeable. When it comes to your plumbing, it can be difficult to tell when you have a problem and what that problem is. While a clogged toilet or drain is simple to spot, other plumbing issues may go unnoticed until the problem gets much worse. We don’t want your problems to go unnoticed and cause more damage! There are many things that you can keep an eye out for that may be a sign of plumbing problems. If you notice a plumbing issue in your home, be sure to contact Cupertino Plumbing! We offer a variety of plumbing services in the San Jose area and can help you get your issues fixed in no time! In this blog, we are going to talk about some of the signs to look for that may mean you have a plumbing problem. Read on to learn more. As a homeowner, you should be keeping track of your bills, whether it is your water bill or electrical bill, you should know about what price you are paying each month. While it might alter slightly, you should have an idea of the average you are paying. If you notice a significant increase in your water bill, it may be a sign that you have a leak somewhere in your plumbing. Be sure to take into account other changes, like a new roommate or seasonal changes. Compare this bill to the bill from last year in the same month to see how drastically it has changed. While low water pressure could be due to something as simple as buildup in the aerator, it could also be caused by much more serious issues. 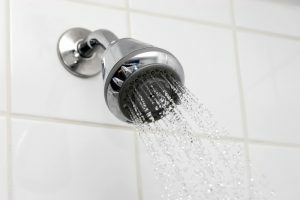 If you unscrew the aerator and clean our the gunk but still encounter low water pressure, that is a sign you have a more serious plumbing problem. This could be a sign of a cracked pipe, water leaks, and other issues. A professional plumber will be able to help diagnose the issue and the cause of the low water pressure. Unpleasant smells coming from your drains can be a sign of several different plumbing issues. Stink from your kitchen sink could be a build-up of scrap foods that are decaying. If your sink is giving off a rotten egg smell, this could be a sign that your drain vent is blocked, which is allowing for sewer gas to make its way back up your pipes. A sign that your sewer line might be damaged is all of your drains smelling and clogging often. If you notice any of these issues, you will want to make sure to call a plumber. Don’t ignore the stink coming from your sink! Get the problem taken care of right away. If you notice stains or wet spots forming on your ceiling, walls, or the floor, this is an obvious sign of a leak. If you have a leak, water will begin to gather in different areas. These spots of accumulated water can lead to mold or mildew, leaving your home with a musty odor and unpleasant stains. These wet spots or stains may not always be extremely noticeable. Be sure to check around sinks, tubs, showers, and toilets to ensure there is no leaking occurring in these areas. When you notice a wet spot, be sure to contact a plumbing expert immediately; a leak can quickly become a much bigger problem. Over the first few years in your home, you will likely notice slight cracks and shifts, since the house is settling. 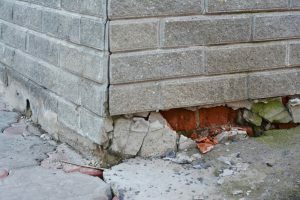 But if you notice a crack in your foundation that occurs suddenly, it may be a sign that you have a leak. A leak can expose your foundation to a constant stream of water, which weakens the foundation and other structural components. When your foundation is weakened, the results can be cracks. If you notice any sudden cracks in your foundation, be sure to contact a plumber to ensure the leak is fixed right away. There are many types of strange sounds that may come from your plumbing that could be a sign of something more severe. If you hear odd noises when you turn our faucet on, it could be a sign that there is air in your pipe, which could be a problem in the bleed-off system. 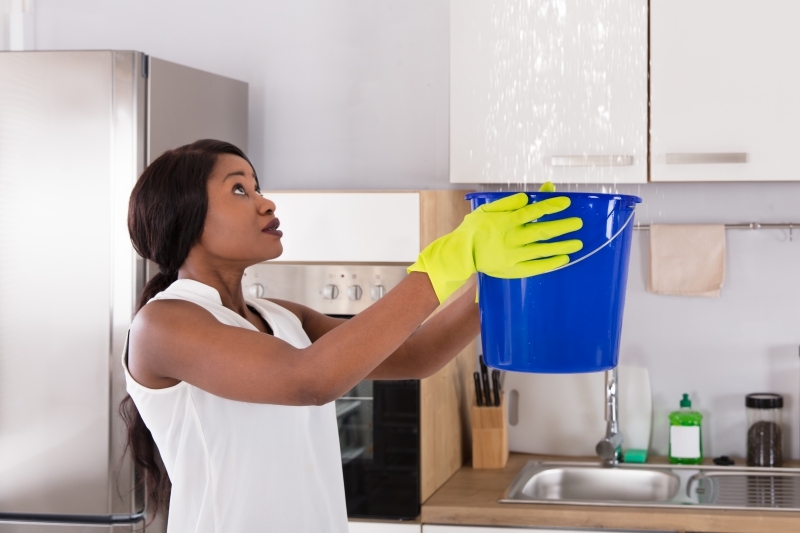 If you hear water running through your pipes when nobody is using the water, it may be another sign that you have a leak. If you hear running water in your toilet, a simple flapper replacement could do that trick! However, if you are hearing a hissing noise, then it could be a sign that the internal tank components are worn and need to be replaced. If you hear strange sounds from your plumbing and are unsure what is causing them, be sure to call a plumber! These are some of the most common signs that you may have a plumbing problem. Be sure to keep an eye out for any of these issues, and if you notice one or more of these signs, we can help. Our experts at Cupertino Plumbing offer a variety of services and are ready to solve any of your plumbing problems in the San Jose area. Even if you don’t notice any of these signs, but can tell something is off with your plumbing, be sure to contact us. We will be able to help diagnose your problem and get your issues fixed in no time!